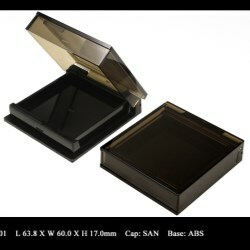 This new cosmetic compact released by Fancy and Trend is a revolutionary concept. 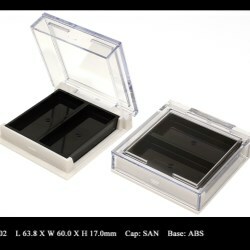 It allows companies to create a more attractive presentation by using replaceable color blocks that fit perfectly inside a square compact case. Color cosmetic products are often presented with as many colors as possible, and sometimes it can be difficult for a professional make-up artist or just about anyone to decide which color to choose. Fancy and Trend collects user experience and feedback from its conducted beauty and cosmetic market research revealing the difficulties of color selection, and developed the new replaceable color blocks in variable godet sizes to fit in a single square compact case. The replaceable blocks can be either a long rectangular long strip occupying 1/2 the compact space, a tiny square block occupying 1/4 compact space, or a full square size that occupies the entire compact space. Consumers can now freely pick up their favorite blocks, fit them in the compact, and go. 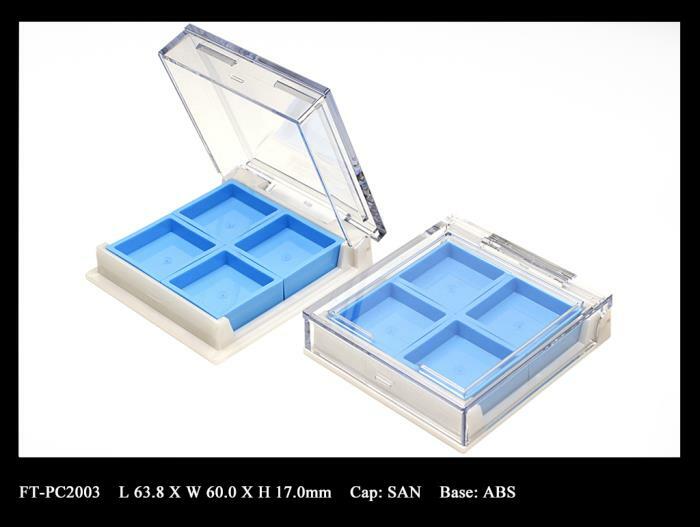 The base of compact case and replaceable blocks are “LEGO” like brick structure. They don’t require any adhesive or tool for assembling. It takes only one gentle press to fix the block in the compact case, and another gentle pull to remove color block from compact case. This new eyeshadow compact has been a successful package for many cosmetic brands thanks to its innovative design that helps consumers to actually enjoy all the colors and skip difficult decision making. More packaging options with a magnetic closure design are being made available in Fancy & Trend’s catalog collection: the leakage-proof lip gloss bottle and the 2-tiered compact. Fancy & Trend takes cosmetic jar, lip stick container, mascara bottle, eyeshadow palette, and face powder compact to be decorated with its wood print water transfer printing. A miniature-sized crystal cone shaped chandelier hanging inside of closed clear bottle, this is the new Fancy & Trend packaging design that is ready for beauty & cosmetic products. Fancy & Trend introduces two mini glass bottles that are ideal for lip glosses for cosmetic brands. Available in either a square or circular shape, the mini glass bottles are compatible with chemical compositions and feature an optional rein stone on top of the closure. 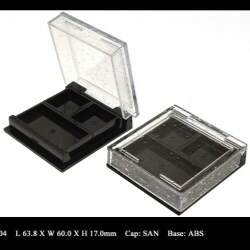 The miniature cosmetic packaging with 2 ml capacity has a distinctive feature for users to assemble the independent components together with the stackable lock design. Fancy & Trend has introduced a new mascara packaging in a gothic style with a jagged and pointed shape that meets a dark theme in make-up trends. The packaging comes in three capacities – 9 ml, 12 ml, and 16 ml, with an ABS cap and PETG bottle. For those who remain nostalgic about the good old days while people still write properly with decent pen, the new cosmetic packaging in retro style might be the answer. Fancy and Trend introduces its new packaging design mimicking an old-fashioned pen that can be either lip gloss, eyeliner, or mascara. Apart from square and circular shapes, Fancy and Trend takes a further challenge and adds more twists to its lipstick packaging design. Fancy and Trend introduces 3 different slim lipstick packaging that are entirely made of plastic components, one in particular, features a crystal clear base for companies to fill in lipstick shades for consumers to identify without opening the product. Fancy and Trend has its latest lip gloss bottle design made in a lipstick bullet shape. The purpose is to create a new look to diverse typical impression on a lip gloss packaging. With highly precise tooling and engineering, the packaging components provided by Fancy & Trend doesn’t need much decoration treatment to impress consumers, the petal colored components can be either lipsticks or lip balm products. The Twist and Click Makeup Pen is convenient to use and easy to carry. With growing market demands, Fancy and Trend makes it possible to use either PP or aluminum for its cosmetic twist and click pen. Fancy & Trend has a huge collection of lipstick packaging in different styles. 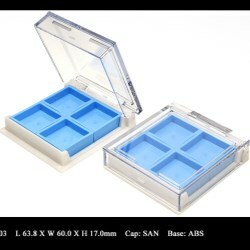 One in particular, among the various popular designs, has a steady base and a top-down cap as part of the entire cover. With its advanced, exquisite molding technique, Fancy & Trend's design team created several new plastic lipstick packaging components that are different and sophisticated. Fancy & Trend boasts a plentiful selection of lipstick components and make up compacts that feature magnetic closure, and, what´s more, the company continues to develop further size variation with different recess layouts in order to satisfy booming demands. The lipstick component has a two-piece base that can be produced in different plastic colours with a separate decoration treatment to ensure a strong visual contrast. Fancy and Trend introduces its roll-on packaging selection of different sizes, shapes, and materials, designed for diversified cosmetic products. Fancy and Trend introduces its Retractable Twist Pen for cosmetic products with two different application options, one with roller-ball, one with silicon applicator. The retractable dispensing system helps users to prevent over-dosage with a simple twist back dispensing solution. Fancy & Trend’s bi-injection lipstick offers strong colour contrast, alongside a unique and cost-effective cosmetic packaging solution. Fancy and Trend’s latest makeup palettes serve perfectly to satisfy the demand of having multiple cosmetic products in one packaging for professional make-up users and major consumers. The new airtight make-up pens provided by Fancy and Trend are specially designed for eyeshadow and eyebrow cosmetic products. The airtight component makes sure creamy formulae stay in perfect condition without compromising on the quality. Double-ended cosmetic packaging proves a modern and convenient design for daily usage. By adding further details to the component's shape, volume, and material, Fancy and Trend has more options for duo purpose make-up products. Fancy and Trend introduces the multifunctional cosmetic cream jar that not only has a spatula within for scooping and product application, but also features a top compartment to hold another product. Fancy and Trend’s shatterproof packaging bottles are available with different droppers and lotion pumps. Each packaging bottle has special shape design that makes one distinctive from any other product in the market.